Pelican™ Products, Inc. reigns as the global leader in the design and manufacture of both high-performance protective case solutions and advanced portable lighting systems. Their products are depended on by professionals in the most demanding markets including fire safety, law enforcement, life sciences, defense/military, aerospace, entertainment, industrial and consumer. ​Pelican products are designed and built to last a lifetime. Pelican designs and manufactures tough lighting tools used by professionals including firefighters, police, military, aerospace, industrial and consumers. 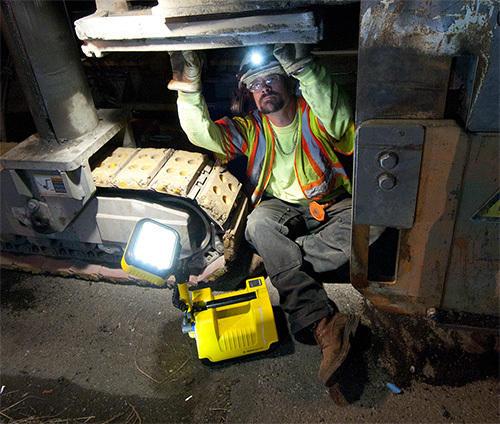 Built Pelican tough, these lights offer the lumen brightness and safety needed whether in the field or at home. Pelican's line of super bright lights include waterproof lights, tactical lights, safety approved lights for hazardous areas, hands free lighting, right angle lights for fire fighting and industrial use and signaling lights for traffic and airport operations. Pelican has led the industry through enormous gains in LED light output performance, and keep in mind that every Pelican flashlight is guaranteed for life. Remote Area Lighting Systems from Pelican are the complete lighting solution for first responders, industrial and aerospace applications. With multiple heads and Bluetooth activation ( select models) RALS can light up an accident scene or soccer field. From the compact single head 9430 ( fits easily into confined spaces) to the four head 9470, these units run on a silent, rechargeable sealed battery, freeing users to work anywhere on or off the grid without a generator. Each RALS is designed with LED technology to provide a better quality of light, high reliability and low energy consumption. The result is an energy efficient lighting solution with low long-term operating and maintenance cost. Sensitive equipment needs protection, and since 1976 the answer has been the Pelican™ Protector Case. These cases are designed rugged, and travel the harshest environments on earth. Made in the USA, these tough cases are designed with an automatic purge valve that equalizes air pressure, a watertight silicone O-ring lid, over-molded rubber handles and stainless steel hardware. The simple and strong double-throw latches keep the lid closed in the roughest handling.